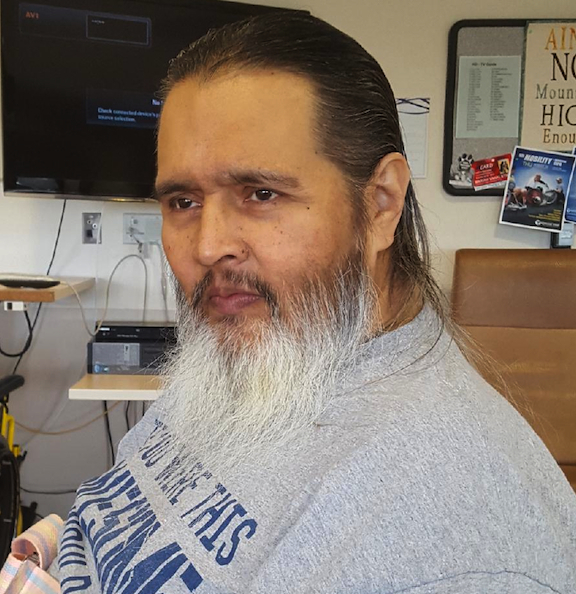 Edwardo Pedraza Atkinson age 58, of Clinton, MI, passed away, September 4, 2018, at University of Michigan Hospital. He was born August 8, 1960, in Adrian, MI, the son of Efrain & Lile (Pedraza) Atkinson. On May 24, 1991, he married Amy Jo Marcum, she survives. Ed served his country in the U.S. Marine Corps. In addition to his wife, Amy Atkinson, he is survived by his daughter, Wendy Chavez, two sons, Anthony Atkinson and Nicholas Atkinson, six grandchildren, Isabella, Jacob, Brayden, Olivia, Gabriel and Christopher, four brothers, David Atkinson, Daniel (Mary) Atkinson, Joel (Lorie) Atkinson and Steven (Tammy) Atkinson and numerous nieces and nephews. He was preceded in death by his parents, Efrain & Lile (Pedraza) Atkinson and one brother Efrain Atkinson, Jr. A Viewing & Visitation will take place on Saturday, September 8, 2018, from 12:00 PM to 3:00 PM at J. Gilbert Purse Funeral Home, 2959 N. Adrian Hwy, Adrian, MI. Military Honors will follow at 3:00 PM and be performed by the U.S. Marine Corps Honor Guard. Memorial contributions may be made to Ed's wife for final expenses.